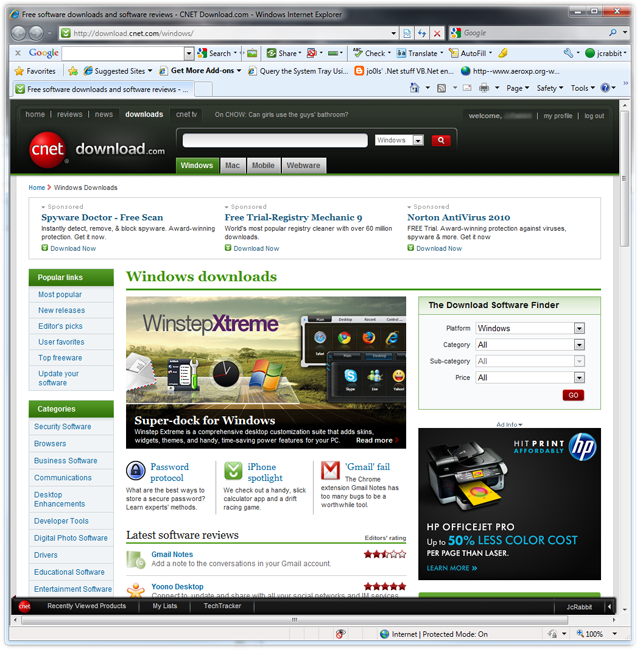 Winstep Forums • View topic - Winstep Xtreme featured at Download.com! Post subject: Winstep Xtreme featured at Download.com! Only top notch software gets to be featured at the front page of Cnet's Download.com. Cnet's Editors liked Winstep Xtreme so much that they decided to feature it twice: once for the v10.6 launch exclusive on July 13th, and again during the weekend of July 17th. Applications that are getting noticed with reviews and ratings are the applications that get featured at Download.com - so download the trial version of Winstep Xtreme now and find out for yourself what all the buzz is about!